Another skincare post? Yes. Of course, if you haven't yet discovered it already but skincare is my absolute fave! I've decided to make these products specifically for the evening to allow my skin to "regenerate" over night. So this range specifically targets ageing skin and evens skin tone for a youthful appearance. So what does each product do? How is it part of my routine? 180 Face Wash; This face wash is jam packed full of vitamin C which is incredible for your skin and its appearance. The texture is quite sticky but once you start rubbing this into your face the texture changes to a cream consistency. This leaves my skin feeling so soft and interestingly this product contains unique properties such as; grape seed, ginkgo biloba leaf and ginseng extracts. 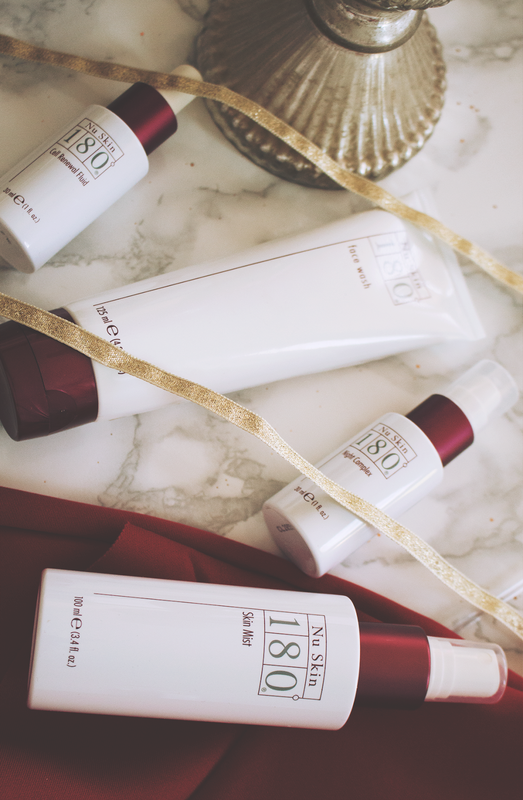 180 Night Complex; This little gem combats skin damage caused by the pesky sun exposure. Everyday we are exposed to the sun and it does have a huge impact on our skin, so it's important to protect your skin as much as you can. 180 Skin Mist; I love mists, there is something so satisfying about spraying a cool mist over your skin, just so refreshing! I spritz this all over my face after I have used the 180 Face Wash, the mushroom extract helps tighten the pores too. If you have sensitive skin this is a product for you to help aid skin irritation. 180 Cell Renewal Fluid; This product claims to "reverse the years" by accelerating cell renewal and increasing the skin's hydration. I can definitely say my skin is holding more hydration which has been ideal for these winter months! So far I have only been using these products for the last 4 weeks and have been using these in the evening only as part of my skin care routine. 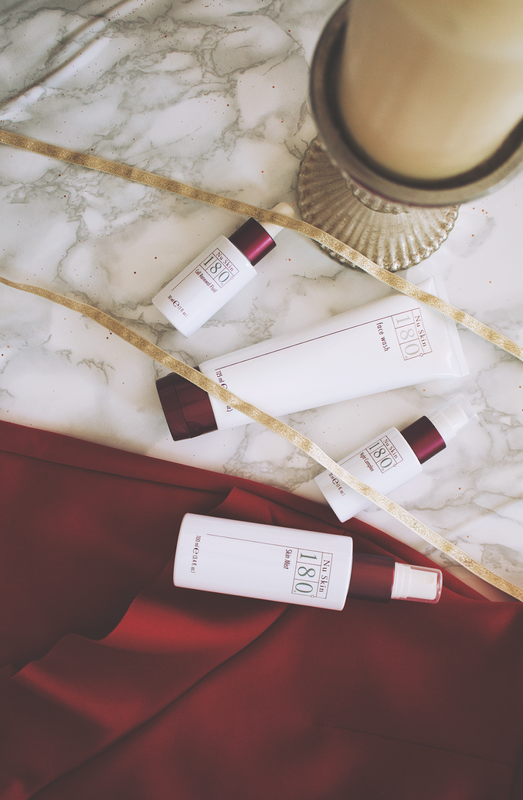 I am using these products in the evening specifically due to their properties in focusing on renewing the skin. First impressions so far are good and I can say my skin feels so much softer and I don't have as much pigmentation. You can purchase the range here.